Production certification, which includes certification of the quality management system, certification of equipment, fire safety certification, etc., is a complicated procedure. One of the documents that have to be obtained to lawfully use hazardous and complex equipment is Rostekhnadzor license (license issued by the Federal Service for Ecological, Technological and Nuclear Supervision). This document is mandatory when it comes to production certification; it must be obtained prior to other conformity assessment procedures. 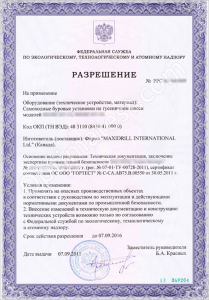 Certification of production, export of equipment and its installation is illegal without Rostekhnadzor license. Contact ROSTEST certification center to make sure the goods you plan to export are subject to production certification or other forms of conformity assessment. The problem of certifying hazardous goods prior to export has become urgent as the Technical Regulations on “Equipment and Vehicle Safety” came into force. Installation of hazardous equipment and production certification, as well as export of these goods, is only possible upon proper industrial expert evaluation. Industrial expert report and Rostekhnadzor license have to be obtained for goods regardless of their origin. The document is valid for 5 years. Both, industrial expert report and Rostekhnadzor license can be obtained quickly if you delegate the certification process of ROSTEST certification center. Our extensive experience and close connections with local authorities guarantee high quality of services.